Happy Father’s Day to everyone celebrating the many different types of fathers in their lives! As with many holidays, this special day inspires some interesting Amazon search trends. We took this as an opportunity to look at what people searched Amazon.com for over the past couple of years. Just to make sure we don’t get our dads the same thing, again. When it comes to Father's Day, people are searching for gifts on Amazon in several different ways. If you’re selling a product that might make the perfect gift for dad – socks, golf clubs, beard oil, hockey puck bottle openers – it’s good to know about all of them so you can have the most optimized listing out there. Here are a few search trends we noticed. Sometimes shoppers search using “father” and sometimes “dad” is more popular. Keyword phrases that include the seed term “father” tend to be part of a broader, more general search. These include terms like “father’s day gift” and “father-daughter.” People using these phrases are looking for great gift ideas but haven’t yet narrowed down their searches to more specific products. They’re still in the browsing phase. Searches with the term “dad” are generally more product-specific. After “dad,” the top two search results are “dad hat” and “dad shirt.” “Dad gifts” is a top contender with 168,400 searches this month. While people do use “dad gifts” often when shopping on Amazon, it’s not nearly as frequent as “father’s day gifts” which brought in 666,900 searches last month! 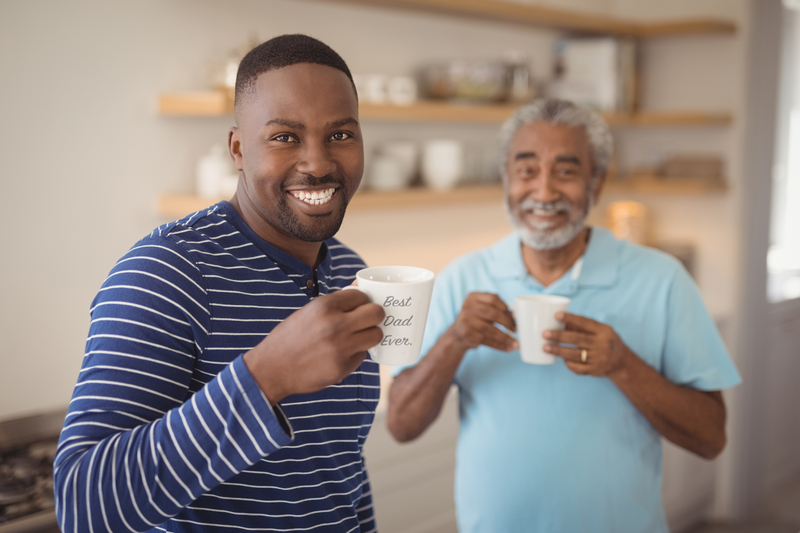 With two different ways to acknowledge the father figure in your customer’s life, it’s important to make sure you cover both groups while conducting keyword research and include both “father” and “dad” in your listings. 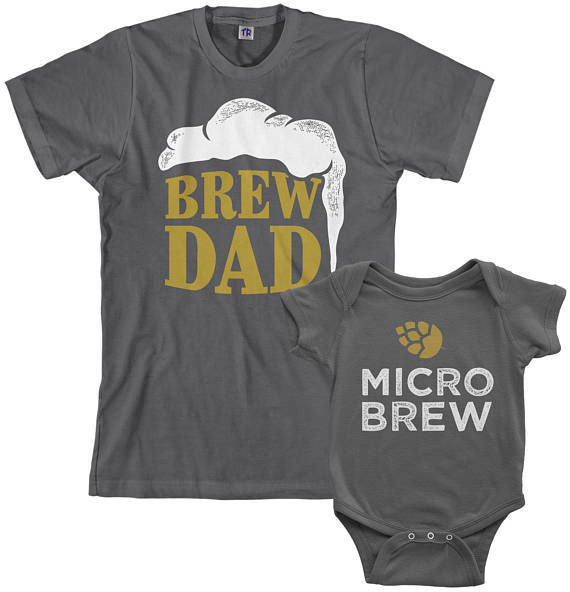 Over the past several years, two items have proven to be the most searched Father’s Day gift ideas: mugs and shirts. Yep, mugs and shirts. We were a little disappointed in the lack of creative gift-giving as well, but this is excellent news for you guys and gals selling Merch and mugs! 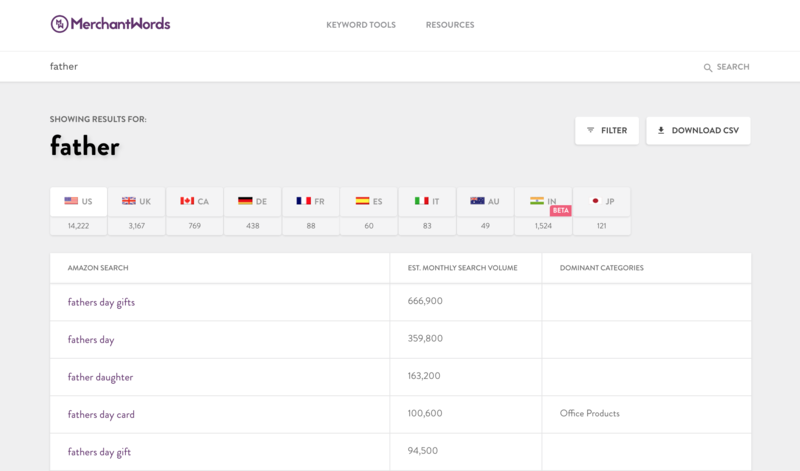 While we expected to see an increase in these searches in late May and early June as the United States gears up for the Father's Day holiday, the MerchantWords data science team discovered that there was also a spike in searches starting in December and peaking just after the new year in January. 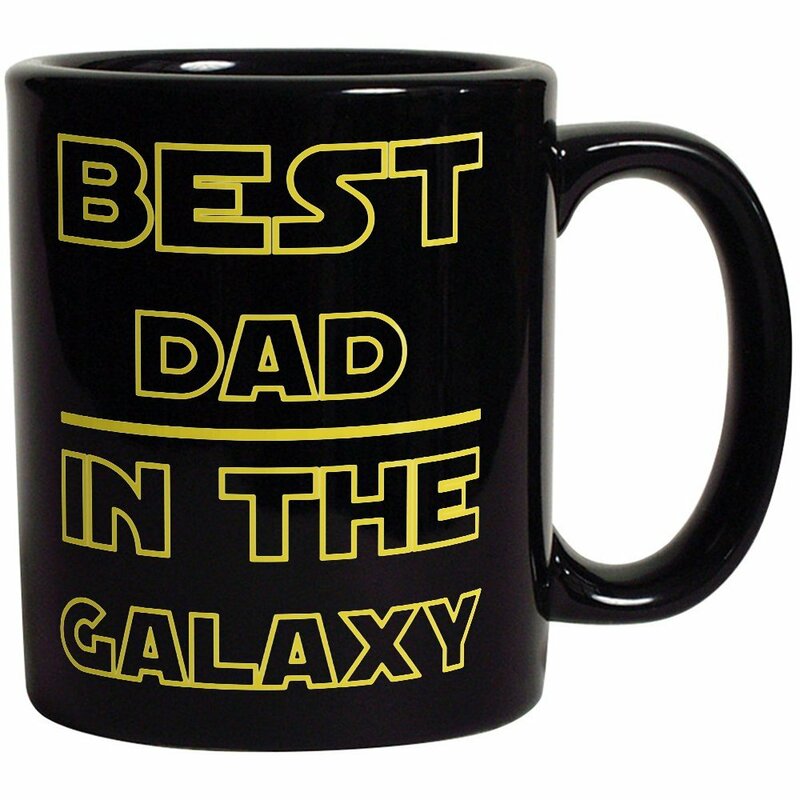 Whether this is due to an unusually high number of dad birthdays during that period, customers like buying “dad mugs” during the holidays, or people are just stocking up on mugs while they can, it’s a trend worth watching. It’s especially important for sellers who specialize in personalized mugs. Make sure your inventory is well stocked in advance so you can handle a potential influx of orders. #3 So many ways to search for “dad”! If you can’t fit these “father” alternatives into your listing, find a spot for them in your backend keywords! These alternate terms can also be useful when running pay-per-click ad campaigns to draw in a variety of customers. Remember to take the time to thank the dads, fathers, pas, daddys, papis, pappys, papas, poppas, and old men in your life for all they do.